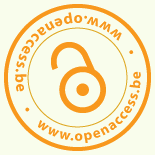 Open Access : yes you can! Over at Occam’s Typewriter, Stephen Curry has written an excellent post about what researchers can do to take part in the push for Open Access. “For researchers who have never dipped a toe into the debates on open access that surge across the blogosphere it is all too easy to imagine that they need not get involved. For sure, people are increasingly aware that a decision of some sort needs to be made about OA once their paper is accepted for publication but that’s about as far as it goes. The complexity of the issue is off-putting — who has the time? — and there is in any case a vague sense that funding agencies (RCUK, HEFCE, NIH, the Wellcome Trust and the like) have the matter in hand so any sense of involvement or responsibility is, with little effort, shrugged off. But to do so misses the real significance of the changes seeping through academic publishing. Worse, it overlooks the capacity the individual researcher to influence them. The changes in train are as much cultural as technological: while the high-speed connectivity of the internet is enabling us to re-imagine publication by spreading research results faster and further than ever before, at the same time it is providing the democratic empowerment needed to challenge the status quo. Established publishers naturally seek to protect the advantages of hegemonies built up before the web came along; but these are not always aligned with the movement towards open access and it is now possible for each of us, working singly or in web-linked groups, to make a real difference.